A framed version of this image has been hanging on my wall for some time now – proof, if you need it, of how much I like it. It may be something of a chocolate box image but for me it has enduring appeal which shows no sign of diminishing. 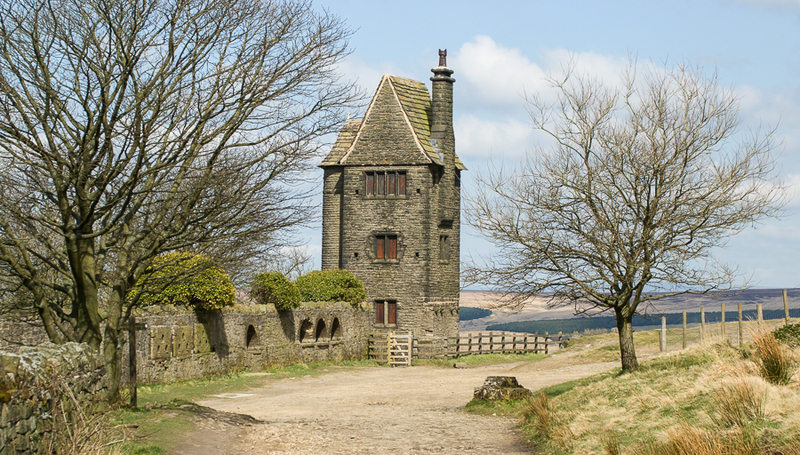 The subject of the image is the Pigeon Tower (also known as the Dovecote Tower) at Rivington, situated between Chorley and Belmont in Lancashire. It was built in 1910 for Lord Lever(hulme) (of Port Sunlight fame) and it is said that the small sitting room on the top floor was used by Lady Lever(hulme) as a music and sewing room. The image was captured in the middle of April and it is at that time of year that the light is getting brighter and the trees are still without leaf, allowing a view of the West Pennine Moors behind the tower.